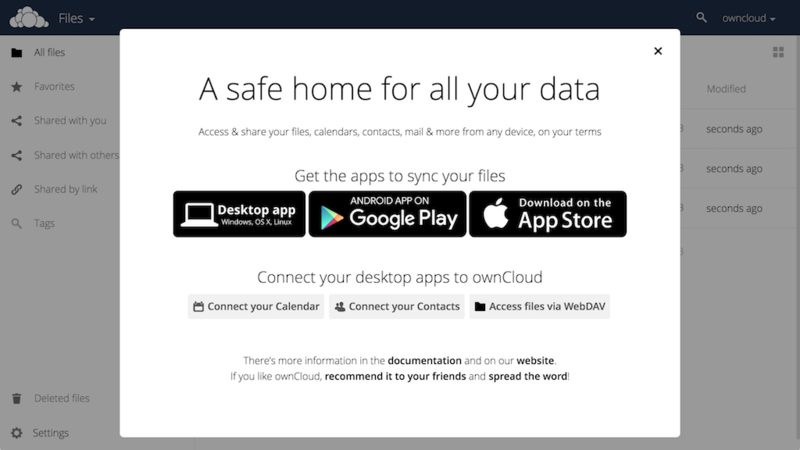 ownCloud is a file sharing server that permits you to store your personal content, like documents and pictures, in a centralized location, much like Dropbox. 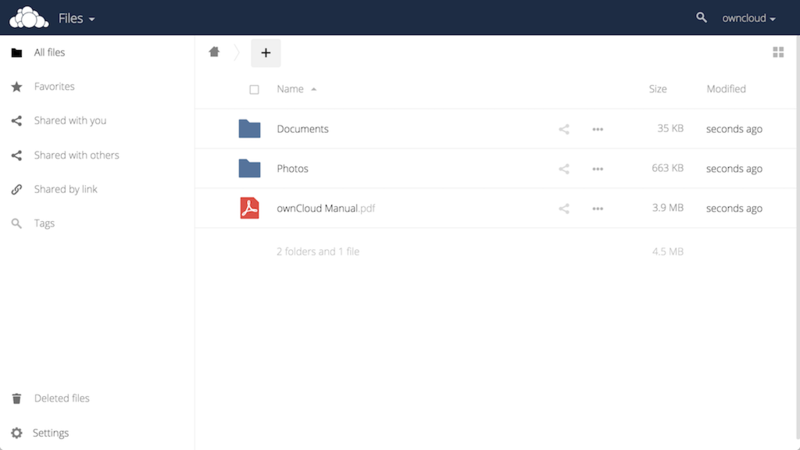 The difference with ownCloud is that it is free and open-source, which allows anyone to use and examine it. It also returns the control and security of your sensitive data back to you, thus eliminating the utilization of a third-party cloud hosting service. In this tutorial, we will install and configure an ownCloud instance on an Ubuntu 16.04 server. A sudo user on your server: You can create a user with sudo privileges by following the Ubuntu 16.04 initial server setup guide. A LAMP stack: ownCloud requires a web server, a database, and PHP to function properly. Setting up a LAMP stack (Linux, Apache, MySQL, and PHP) server fulfills all of these requirements. Follow this guide to install and configure this software. 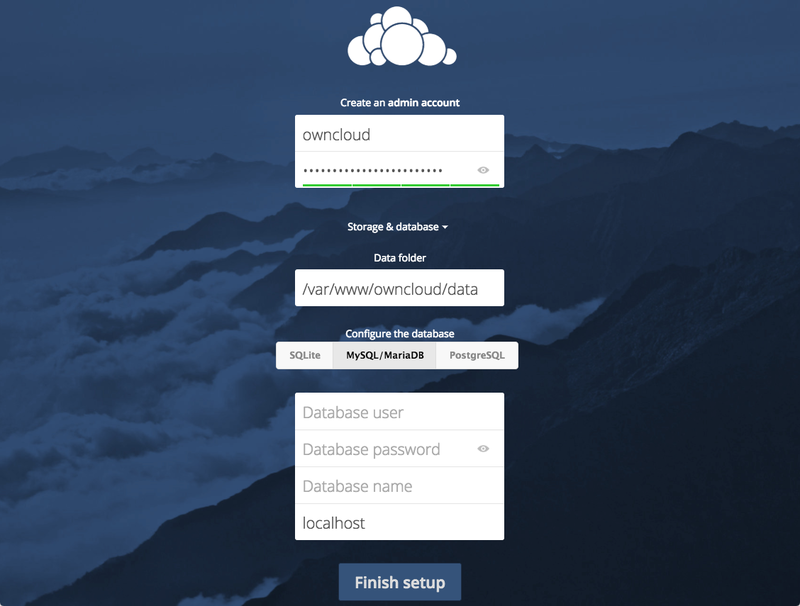 To take full advantage of all the features that ownCloud has to offer, make sure to install the following PHP modules: php-bz2, php-curl, php-gd, php-imagick, php-intl, php-mbstring, php-xml, and php-zip. An SSL certificate: How you set this up depends on whether or not you have a domain name that resolves to your server. If you have a domain name... the easiest way to secure your site is with Let's Encrypt, which provides free, trusted certificates. Follow the Let's Encrypt guide for Apache to set this up. If you do not have a domain... and you are just using this configuration for testing or personal use, you can use a self-signed certificate instead. This provides the same type of encryption, but without the domain validation. Follow the self-signed SSL guide for Apache to get set up. The ownCloud server package does not exist within the default repositories for Ubuntu. However, ownCloud maintains a dedicated repository for the distro. The 'Release.key' file contains a PGP (Pretty Good Privacy) public key which apt will use to verify that the ownCloud package is authentic. In addition to importing the key, create a file called owncloud.list in the sources.list.d directory for apt. The file will contain the address to the ownCloud repository. When prompted with the Do you want to continue? [Y/n] message, press the ENTER key to confirm the installation. With the ownCloud server installed, we will move on to setting up a database for it to use. Enter the password you set for the MySQL root user when you installed the database server. 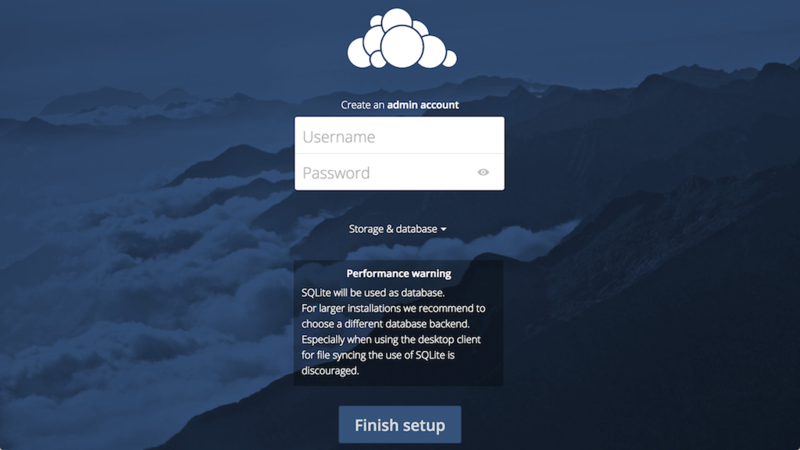 ownCloud requires a separate database for storing administrative data. While you can call this database whatever you prefer, we decided on the name owncloud to keep things simple. Note: Every MySQL statement must end with a semi-colon (;). Be sure to check that this is present if you are experiencing an issue. Next, create a separate MySQL user account that will interact with the newly created database. Creating one-function databases and accounts is a good idea from a management and security standpoint. As with the naming of the database, choose a username that you prefer. We elected to go with the name owncloud in this guide. With the ownCloud server installed and the database set up, we are ready to turn our attention to configuring the ownCloud application. If a self-signed certificate is being used, you will likely be presented with a warning because the certificate is not signed by one of your browser's trusted authorities. This is expected and normal. We are only interested in the encryption aspect of the certificate, not the third-party validation of our host's authenticity. Click the appropriate button or link to proceed to the ownCloud admin page. Create an admin account by choosing a username and a password. For security purposes it is not recommended to use something like "admin" for the username. Leave the Data folder setting as-is and click the MySQL/MariaDB button in the Configure the database section. Here, you can create or upload files to your personal cloud. 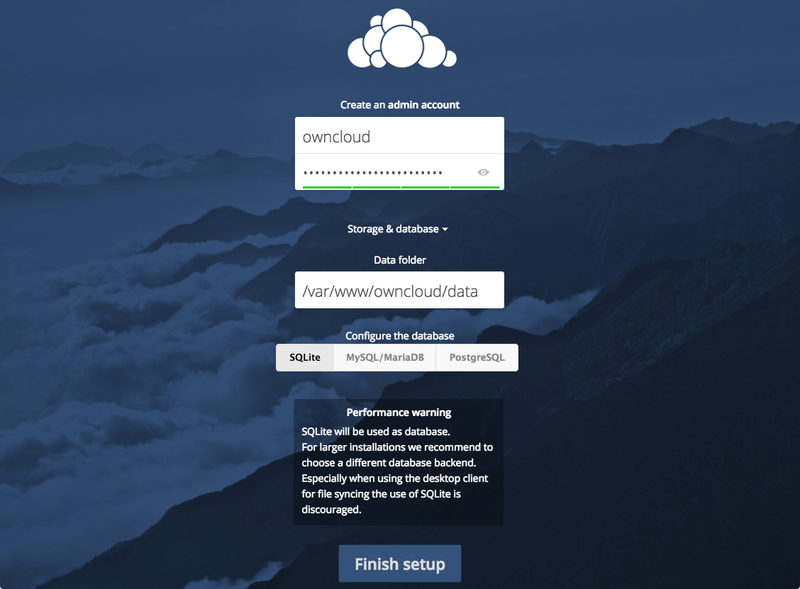 ownCloud can replicate the capabilities of popular third-party cloud storage services. Content can be shared between users or externally with public URLs. The advantage of ownCloud is that the information is stored securely in a place that you control. Explore the interface and for additional functionality, install plugins using ownCloud's app store.